We choose to highlight the Brazilian coffee bean grown in the Minas Gerais region. Home of one of the higher growing climates of Brazil, which produces chocolaty, sweet and nutty characteristics. Through artfully roasting the organically grown Mexican Typica and Bourbon varietal bean, we are able to showcase the beans inherent characteristics to a cup with notes of Milk chocolate, toffee, pear, apple, caramel finish. This roast features organically grown Sumatra beans from the Mandheling region. Prior to roasting these beans have a gorgeous blue-green color reminiscent of jade. Once roasted, one will discover hints of butterscotch, spice, and a creamy sweetness. These flavors blend to create a complex full-bodied coffee with low acidity. Ideal for the drinker who takes cream and sugar. Roasting the Colombian Supremo bean from the Huila region creates a cup with a consistent silky body and a bright sweet aromatic taste. 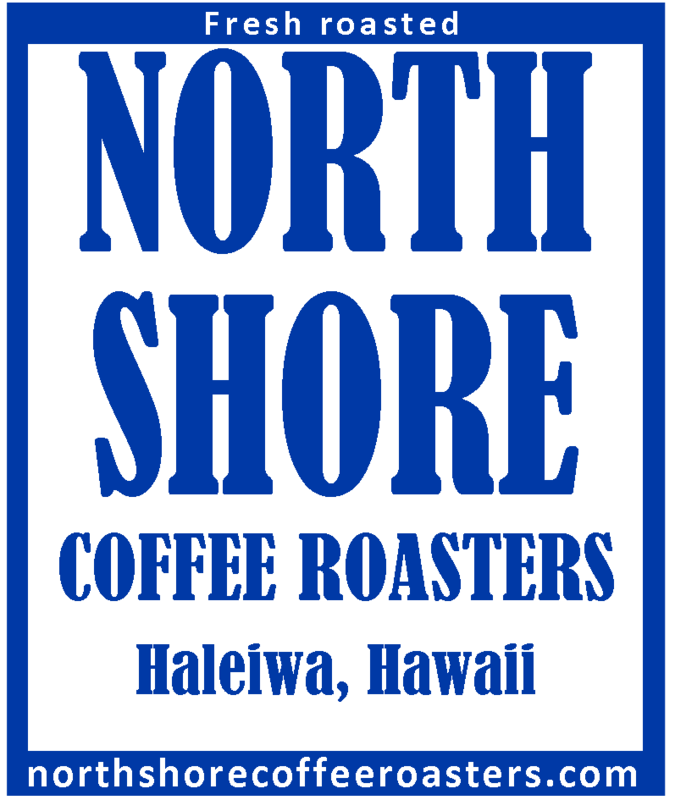 This roast provides a smooth experience reminiscent to that of watch the sun awaken Oahu’s North Shore. Water-processed decaffeinated beans for the complementary roast: Utilizing the same Colombia Supremo bean we deliver the same aromas, tastes, and body, minus the caffeine. We chose the Panama varietal due to the bean’s deep flavor and aromas which lend to a well-balanced and full-bodied cup of coffee. One can find hints of caramel, chocolate, honey, and toasted grains. This roast showcases the characteristics of the Arabica Guatemalan bean. Hidden within the highest grade beans, our roast creates a well-balanced cup with notes of dark chocolate and a long creamy smooth finish. Our signature blend, and although the mixture is a secret. We are more than happy to share with you a roast with a smooth, chocolaty finish. A balance of different roast styles that display the different shades of roasting, yet blend together to create a brilliant cup of coffee. This is proof that it is always sunshine and rainbows in the Aloha State.